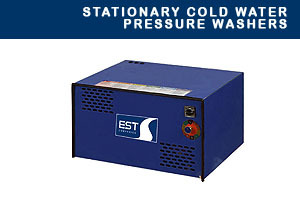 Stationary hot water pressure washers are built with rugged powered coat frames, stainless steel coil wraps, stainless covers and panels. They can be easily installed inside an equipment building or standalone outside. 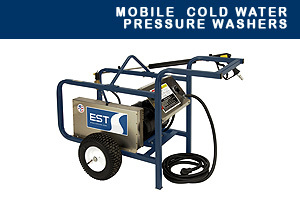 EST supplies military and industrial grade pressure cleaning systems for the most rugged of environments. All of the equipment is manufactured in the USA. 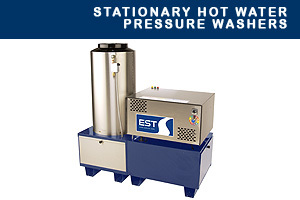 These mobile units provide outstanding hot/cold cleaning power in a compact design. The “Cool Touch Coil” feature forms the combustion chamber, eliminating troublesome insulation and outside hot spots. This series combines portability, durability and ample power to handle the most demanding jobs. Available in gasoline and electric models. 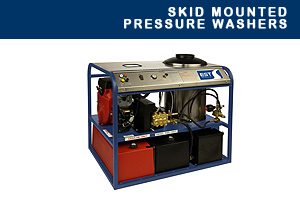 The skid mounted units provide the highest level of quality and performance available in the industry today. 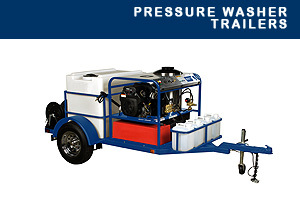 All models are compatible with our pressure washer trailer units for maximum portability. 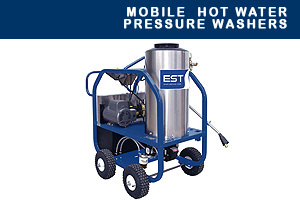 EST provides a wide variety of pressure washer trailers, including single and duel axles for standard skids, and small trailers for mini-skids.